Shelly Zegart is known around these parts as “The Quilt Lady.” As a founding director of The Kentucky Quilt Project and The Alliance for American Quilts, she helped document quilt history and broaden the notion of what, exactly, a quilt is. For Zegart’s latest project, she served as executive producer and host of the documentary series “Why Quilts Matter: History, Art and Politics.” The DVD set (nine episodes plus 20 minutes of bonus features) is $39.95 and is available locally at Carmichael’s Bookstores, Among Friends Quilt Shop and the Kentucky Museum of Art and Craft, as well as at www.whyquiltsmatter.org. It can also be seen on KET. LEO spoke with Zegart about how it’s time to rethink what is commonly known about quilts. LEO: So, why do quilts matter? Shelly Zegart: They are women’s work. And over the centuries in America, women have told their stories through their quilts. Quilts are at the center of American culture; they speak to women’s empowerment, what is art, American history, material culture, art history and almost every other discipline. Quilts are bigger than you think. We felt the DVD was the next step (in telling the story). LEO: What exactly is a quilt? How is an “art quilt” different? 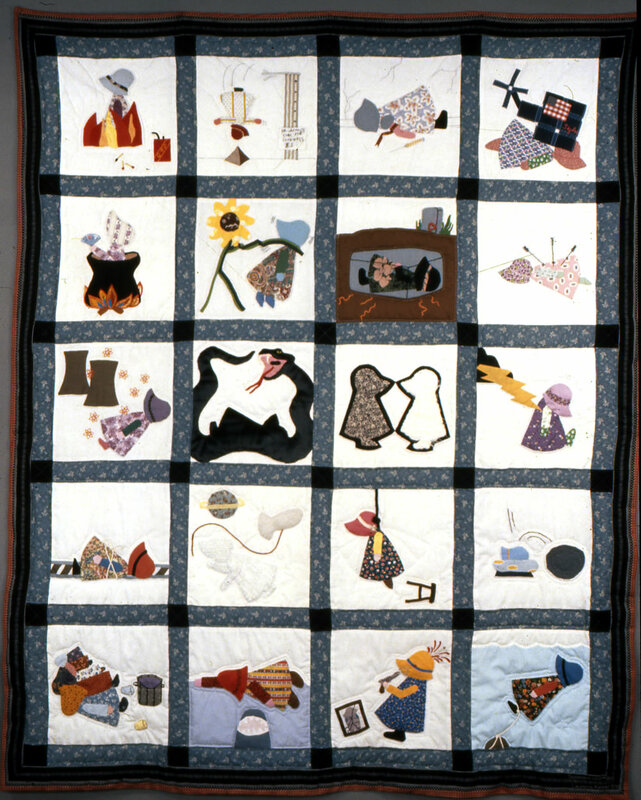 SZ: A quilt was considered to be three layers: a backing, a batting and a quilt top. That definition has changed a lot with art or studio quilts, which are quilts made by people coming from an art mindset. Over the years, they have outgrown rectangular shapes and taken all sorts of creative forms. The composition is important. LEO: I have to admit I thought quilt making was a dying art, yet the series says quilt culture is the largest movement most people don’t know about. SZ: (Quilt culture) is 21 million people making quilts today and all the supporting and competing endeavors. It is like a small country with all the competitiveness and rivalries of a small country. LEO: Paducah is the self-proclaimed “city that quilts built.” When did quilting become big business? SZ: Well, it’s always been around, but (the big business) started in the late 1960s. Paducah and Houston have the big annual shows. Women disembark from the buses — it’s the woman’s equivalent to the guy’s fishing trip. LEO: What do you consider to be the most important quilt in history? SZ: The AIDS quilt — it put focus on a movement like no other. It changed the face of the understanding of AIDS and its human toll. Quilts have always been made for causes, like temperance or to raise money; the AIDS quilt just brought this to the public. LEO: As well known as the AIDS quilt is to the general public, the art world may say another set of quilts are more famous. SZ: Arguably now it’s the Gee’s Bend quilts (from Gee’s Bend, Ala.), because of their enormous reach into the arms of the art world. They took quilts onto the walls of the great art museums in a way no other quilts have done in this generation. LEO: The documentary discussed “Sunbonnet Sue.” Who is she and why would anyone what to kill her? SZ: She was the sappy model of American women, put forth from the turn of the century through the ’70s, when the women’s movement “killed” her off.